We are privileged to partner with the following market leaders to support the delivery of the world’s most innovative and value-laden customs compliance, global trade management and e-commerce enablement solutions. Accenture is a leading global professional services company, providing a broad range of services and solutions in strategy, consulting, digital, technology and operations. Combining unmatched experience and specialized skills across more than 40 industries and all business functions – underpinned by the world’s largest delivery network – Accenture works at the intersection of business and technology to help clients improve their performance and create sustainable value for their stakeholders. With approximately 373,000 people serving clients in more than 120 countries, Accenture drives innovation to improve the way the world works and lives. Accenture Border Services helps border management and customs agencies transform their operations to enable the efficient and safe movement of travellers and goods in and between countries. Our integrated approach to customs and border services includes any agency with identity, border security, customs and immigration responsibilities. Accenture Border Services provides a full range of services to help border and customs agencies deal with the current increased pressure, expectations, and commitments from various stakeholder groups. Accenture and 3CE work together to provide Customs authorities and other government regulatory bodies the most user-friendly and reliable commodity reporting tools for Electronic Single Window and Trade Information Portal platforms. Deloitte is the largest professional services network in the world by revenue and by the number of professionals. Deloitte provides audit, tax, consulting, enterprise risk and financial advisory services with more than 200,000 professionals in over 150 countries. Deloitte and 3CE collaborate to solve the most challenging problems faced by both public and private sector organizations involved in cross-border trade. Greenline Systems Inc., a subsidiary of A-T Solutions Inc. (A-TS) is a recognized leader in solving a wide range of customs and border security challenges, including commercial re-engineering, trade filing, electronic single window, postal modernization, e-manifest, advance commercial information, export control, passenger profiling, targeting and selectivity systems, automated targeting systems, customs account revenue management, inspection systems, case management, investigations and audit, post-clearance analysis, decision support, business intelligence, profiling, commodity resolution using HTS, entity resolution, client index, and Trusted Trader /AEO programs. We possess a range of deep technical and subject matter expertise, including software and hardware design and development, and network architecture. Our professional staff is comprised of senior business and systems analysts, senior project managers, and an executive team with significant and extensive domain experience in customs border management, supply chain operation, and risk management. Today, our solutions are operational in the United States, Canada, Europe, Central America, South America, Africa, and the Caribbean, supporting defense, anti-smuggling and regulatory enforcement missions. Greenline System’s parent company, A-T Solutions Inc., is an internationally recognized leader in security and counterterrorism solutions, offering a full spectrum of capabilities in the areas of intelligence, technology, training, and operations to combat ever-changing security threats around the world. A-T Solutions subject matter experts know the realities of managing risk, and provide the most current, relevant knowledge required to defeat a variety of threats and design dynamic, adaptable solutions to meet customer requirements and resources. A-T Solutions supports more than 200 customers from more than 60 countries, including the U.S departments of Defense, Homeland Security, U.S. Customs and Border Protection; the Canada Border Services Agency; the Royal Malaysian Customs Service; the Netherlands Ministry of Defense; U.S. Justice and State; the Intelligence Community; allied nations; state and local agencies; and the private sector. Based in the Tysons Corner area of Vienna, VA, A-T Solutions has an operations and training center in Fredericksburg, VA., and additional offices in San Diego, CA; Boise, ID; Fort Leonard Wood, MI; Fort Bragg, NC; and Virginia Beach, VA.
Greenline Systems-AT Solutions and 3CE combine to offer best-of-breed automated compliance monitoring, enforcement, and trade facilitation solutions to Customs authorities worldwide. IBM Global Services, a division of IBM, is the world’s largest business and technology services provider. It employs over 190,000 people across more than 160 countries. IBM Global Business Services (GBS) is the professional services arm of Global Services, including management and strategy consulting, systems integration, and application management services. Revenues from the Global Business Services were $13.5 billion in 2014. IBM helps governments around the world provide for and protect their citizens with analytic solutions spanning the wide range of government responsibilities, including public safety, defense, national intelligence, social programs, cyber security, and finance and operations. Together, IBM and 3CE deliver the world’s most advanced compliance monitoring & enforcement, and trade facilitation technologies to Customs authorities worldwide. With more than 600 customs experts, a global network of partners, and extensive experience at the highest levels of government, KGH Border Services is widely recognized as the preeminent provider of state-of-the-art solutions for Customs administrations and public sector organizations worldwide. Having been responsible for the development of many initiatives now synonymous with modern customs management, such as Single Window and Authorised Economic Operator (AEO), KGH is uniquely qualified to assist government agencies with strategic and tactical planning, analysis, operational reform and modernization projects, education and training, human resource development and implementation of advanced Customs and Border Management technologies. We specialize in a broad range of capacity building areas including, ICT & Technology, Security, Trade Facilitation, One-Stop-Shop, Paperless Processes, Leadership & Management development, Transit & Trade corridors, and organizational development. KGH and 3CE work together to assist customs administrations in implementing the most advanced technology-based solutions to both ensure compliance and facilitate trade. Thomson Reuters is the world’s leading source of intelligent information for businesses and professionals. We combine industry expertise with innovative technology to deliver critical information to leading decision makers in the financial and risk, legal, tax and accounting markets. 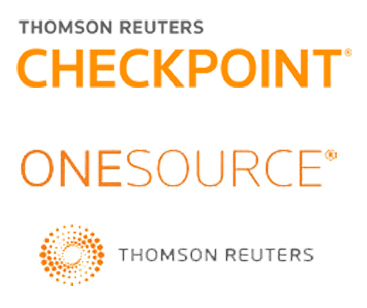 Checkpoint, the industry leader in providing intelligent information to tax and accounting professionals -including expert research, guidance, technology, tools, learning, and news – is relied upon by thousands of professionals to understand complex information, make informed decisions and use knowledge more efficiently. Our Global Trade Management platform, ONESOURCE Global Trade, formerly Softway, is a comprehensive global trade management solution offering an end to end solution and providing confidence throughout the global trade management process. Our solution has been adopted by more than 150 of the world’s largest companies in diverse industries such as Automotive, Electronics, Agribusiness, Pharmaceutical, and Retail. Thomson Reuters is the exclusive distributor of the 3CE Commodity Classification Assistance tools for the corporate market (called “Global HS”), and is a distribution partner for 3CE Tariff and Regulatory Trade Data. Global HS is the 2016 SIIA CODiE Award winner for Best Content Search & Discovery Solution. Trade Hub East Africa is a professional customs and border management consulting company based in Nairobi, Kenya, providing expertise in trade and border management processes as well as customs procedures trade facilitation solutions to governments and the private sector across Africa. The company is focused on translating international standards and global best practices into solutions that are tailor-made to the environment of a specific country. With an extensive global network of partners and international experts, the company is uniquely positioned to offer state-of-the-art Customs compliance and trade facilitation solutions based on international standards and global best practices. The company’s strong track record includes leading and participating in successful development projects – providing practical expertise in such essential areas as Trade Agreement Implementation, Customs Modernization, AEO Accreditation, Revenue Assurance, Capacity Building, Supply Chain Security, and Good Governance. Trade Hub East Africa partners with 3CE to ensure both fiscal and regulatory compliance through cost-effective, technology-based solutions. TTEK is a technology solutions firm specializing in customs and border modernization. TTEK promotes a fusion of leading edge products with operational and academic subject matter expertise to help assist nations in modernizing their border processing systems and methodologies. TTEK’s product design road-map includes the development of advanced analytical capabilities using machine learning and artificial intelligence. TTEK works with 3CE to provide best-of-breed commodity classification, tariff management and commodity-based risk assessment tools to Customs authorities worldwide.